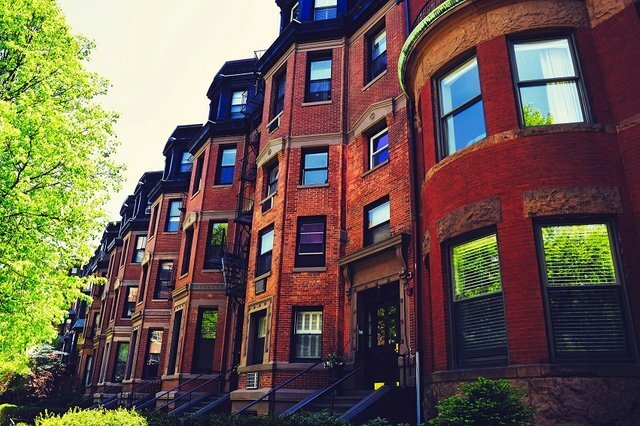 Beacon Street in Boston, Massachusetts is known for its elite brownstone buildings. The Gibson House Museum, located at 137 Beacon Street, is where visitors can tour four floors of the opulent décor that dominated Boston society in the late 19th and early 20th centuries. The Gibson House was built between 1859 and 1860. While many of the brownstones in Boston’s historic Back Bay neighborhood have been converted into multiple-family residences, the Gibson House remains an untouched example of a single-family home, complete with a kitchen, butler’s pantry, water closets (bathrooms), scullery, private family quarters, and formal rooms. Catherine Hammond Gibson and her son, Charles Gibson, were the first to occupy the Gibson House. Catherine, a widow, had made the decision to move herself and Charles from the Beacon Hill area to the Back Bay – originally marshy areas that were still in the process of being filled in at the time. The Italian Renaissance style was the design that Edward Clarke Cabot, a Boston architect, chose for the Gibson House. Visitors to the house might notice that the décor is also, in places, reflective of Boston Brahmin interests, such as Asian aesthetics. For example, upon entering the house, one of the first noticeable features is the wallpaper meant to look like gilded Japanese leather. In 1871, Charles Gibson marries Rosamond Warren. Rosamond redecorated certain areas of the Gibson House after Catherine Died in 1888. Visitors can see her influence in that wallpaper, and in the music room’s white woodwork. The Gibson House is a museum today because of Charles and Rosamond’s son, Charles Hammond Gibson, Jr., who was born in 1874. Charles Jr. was a poet, horticulturalist, and travel writer. He was also considered a bon vivant, whose eccentricities were noted by more conservative Bostonians. 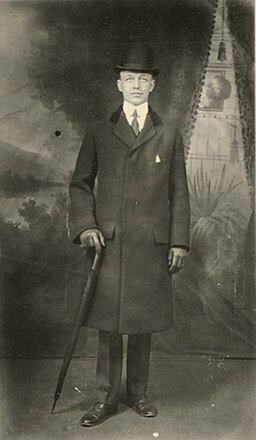 For example, long after things like spats and morning coats were in style, he continued to wear them as part of his preferred formal attire. As Charles Jr. observed the changing times, he wanted to preserve aspects of the Victorian era that he had grown up in. He began this preservation as early as 1936, when be began roping off some of the furniture in the house. As a result, guests sat on the stairs while having their refreshments, which were either tea, or martinis with gin that he had made in his bathtub. In 1957, the Gibson House was opened as a public museum (three years after Charles Jr.’s death in 1954).